Swimmer Sun Yang led China to a clutch of gold medals on Sunday as the regional heavyweights started the 2018 Asian Games where they left off in 2014 -- on top of the medals table. The triple Olympic champion was left fuming by a flag malfunction in his victory ceremony, but not before he cruised to 200 metres freestyle victory over Japan's Katsuhiro Matsumoto. In chaotic scenes Sun, 26, demanded a re-run of the ceremony when the pole carrying the national flags fell down as he was proudly singing the Chinese anthem. His victory capped a strong first-day performance by China, who dominated with 151 golds in 2014 and will aim to top the Olympic medals table in Tokyo in 2020. 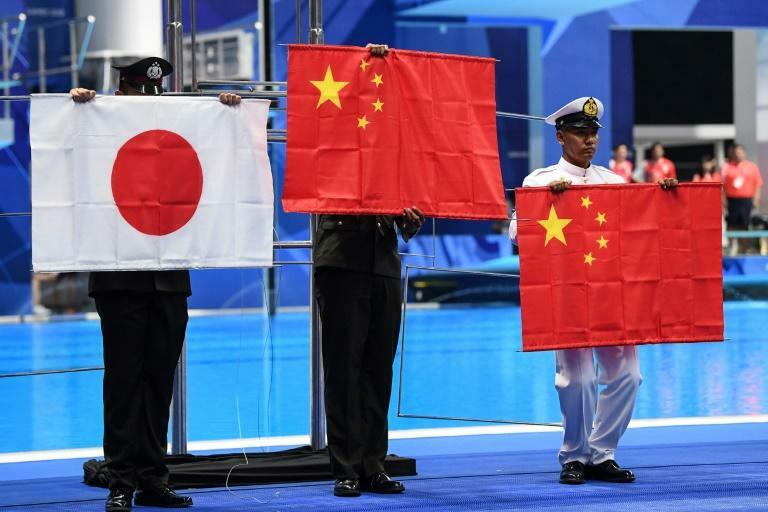 China swept four of the seven swimming titles and also won in shooting, fencing and wushu, a Chinese martial art, as the 18th Asian Games opened in Jakarta and Palembang. China ended the first day with seven gold medals, ahead of Japan with three and South Korea on two. It was another of China's Suns, Sun Peiyuan, who won the Games' first gold medal in wushu's men's changquan, edging Indonesian home favourite Edgar Xavier Marvelo into silver. But the hosts soon reached the top of the podium when Defia Rosmaniar won taekwondo gold in the women's individual poomsae, watched by President Joko Widodo. "Congratulations to Defia and the coaches. The Indonesian people are proud of you," Widodo said in a statement. South Korea, who hosted the 2014 Games in Incheon, picked up two taekwondo gold medals in the men's individual and team poomsae. 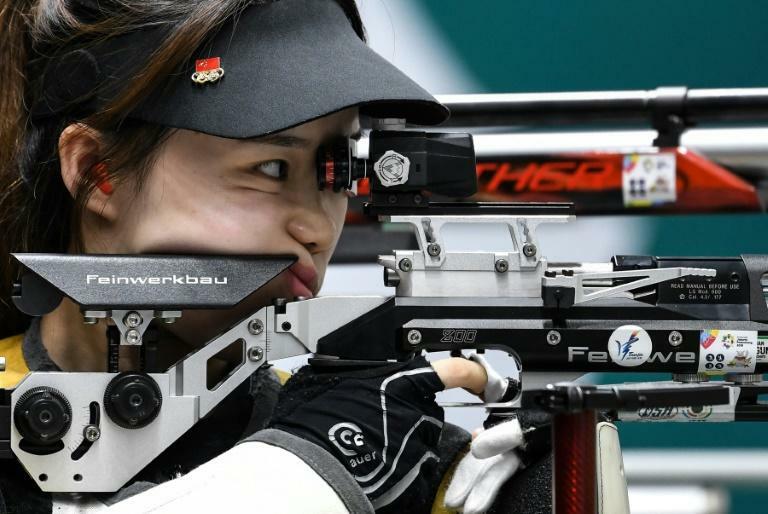 In Palembang, the Games' co-hosting city in Sumatra, India's teen shooting star Manu Bhaker missed out on the final as China's world-record holders Ji Xiaojing and Wu Jiayu won the 10m mixed air pistol. Taiwan's Lin Ying-shin and Lu Shao-chuan narrowly beat Chinese pair Zhao Ruozhu and 22-year-old Yang Haoran to win the 10m air rifle mixed team title. India suffered a shock in the wrestling when two-time Olympic medallist Sushil Kumar, 35, lost his opening bout in the men's 74kg to Adam Batirov of Bahrain. "There is no loss of stamina at this age. And no pressure as well. I come far from all that. I enjoy sports and will continue to do that," Kumar said. Vietnam's men's football team upset Japan 1-0 to finish top of Group D, while China beat UAE 2-1 to complete their Group C campaign with three wins out of three. In badminton, newly crowned world champion Kento Momota beat Daren Liew 21-13, 21-14 as Japan reached the men's team quarter-finals at the expense of Malaysia. And the day after the two Koreas marched together at the opening ceremony, a joint North-South rowing team finished last in their heat in the lightweight men's fours.